Find the 'New Game Project' panel and enter a title for your project. From your new project page, click the 'API Tools' button to open your API Dashboard. The default dashboard will show settings for the old Newgrounds Flash API. 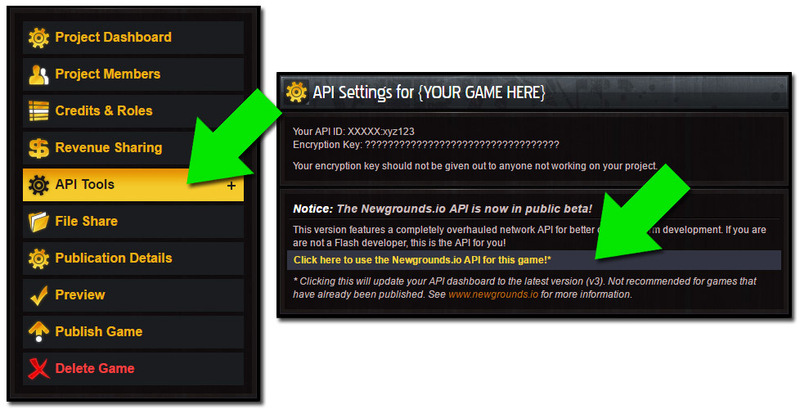 You need to switch to the Newgrounds.io API by clicking 'Click here to use the Newgrounds.io API for this game!' link near the top of the page. You should now see the 'API Version 3 Beta (Newgrounds.io)' dashboard. *This step is required during the beta period and will eventually go away. At the top of the page is your basic 'App Information'. Make a note of your App ID, you will need it to use Newgrounds.io. At the end of the page is a form for configuring your Encryption Settings. You might need to change these depending on what encryption methods are available in your platform. 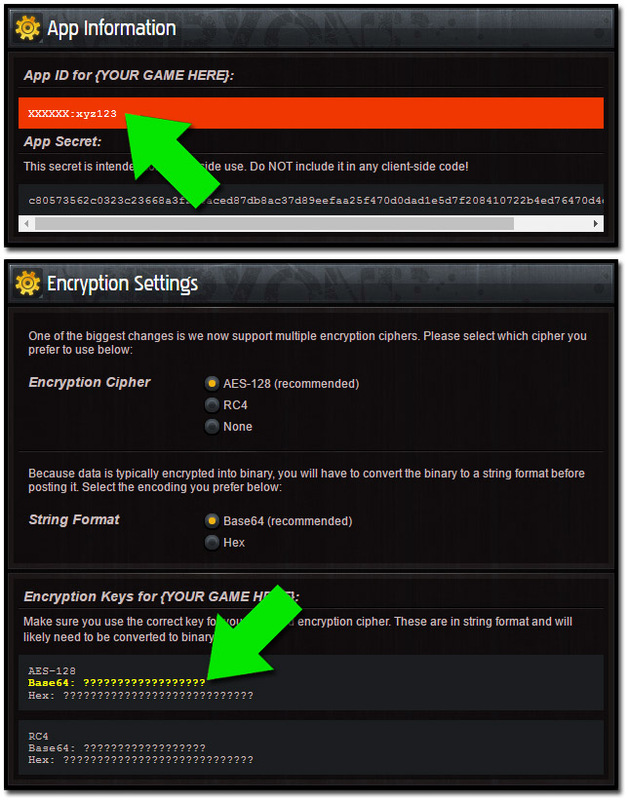 If your settings are correct (and you are using encryption), make a note of the highlighted encryption key. Note: Most of the libraries are designed to use AES-128 encryption with base64 encoding, so you probably won't need to change these at all. Download the library for your platform (if available). Newgrounds.io works by sending messages to our API server that contain rules for executing components. In programming terms, you can think of an API component as a remote function. These functions take parameters, execute, and return a result. Consult the help documents for your library to learn how you can call a component, then check out the components list page to see what components are available to you. If there is no library for your platform, you can communicate with the server directly.